Coalichain is a decentralized platform for liquid, accountable representation, voting and governance. It is based on the Proof of Influence protocol that converts participation in group governance into measurable value. Check out the videos below – it will give you a good overview of what Coalichain is and what we are trying to achieve. Take 3-min and see what Coalichain is all about. 2 min - We live in groups and we will no longer be ignored. Politicians win-over voters, directly. We keep them accountable. Ideal!. Coalichain’s Liquid Democracy Continuously selecting reps according to current position. Communicate with your group members, rally support and make contractual transparent, public commitments. Get personalized 24/7, qualified and trusted news feed from reputable news outlets. Personalized feed on your groups and the issues that matter to you. Raise money to promote your cause or political platform. 100% secured. 100% transparent. 100% free of interest groups. Find like-minded people and common ground. Connect with leaders, representatives, events, and more. The more we participate and influence our groups activity, the better the group is run, the more value it creates. Organise, manage and monitor budgets, polls, petitions, political events, and local or statewide elections through smart contract transparency. The ZUZ = the world’s first Influence currency, with participation in governance as its source of value. We use the Influence Score to measure participation. We use the blockchain to record it. We use the ZUZ to make it transactional - allowing us to incentivize people for participation and allowing them to monetize on their governance related activities. 20 years of experience in the IT industryMarketing services for private and public sectors. Kapil has been managing technology and marketing projects for over a decade. He has led the implementation of innovative technologies in several IT firms, and contributed to raising productivity and increasing ROI in those firms. Reserve Colonel in the Israeli Defence Force (Foreign Media Spokesperson). 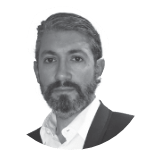 Today he is a senior consultant on communication to the military, and a commentator on Middle Eastern affairs in Israeli and French media. He is the author of “Le Temps du Retour”. Former Secretary of State - Former Member of UMP, LR & National Assembly, France. During his political stint he assumed roles in and dealt with: Trade, Small and Medium Enterprises, Tourism, Services, Liberal professions and Consumption under the Minister of Economy, Finance and Industry. Head of Mobile Development & Quality Control at RavTech. Expert in product development and client acquisition for software solutions. Cryptocurrency Architect. Coaclichain ambassador in Netherlands. Founder of Bamboo & Bees, President at World of Blockchains - The Blockchains Governing Forum. Blockchain Expert, Coalichain Ambassador - U.K.
Q: What is Coalichain all about? Coalichain is the first decentralized political platform built on blockchain, connecting citizens with their leaders and governments. Q: What is it built on and why is it the safest voting platform? Coalichain is the bridge that empowers citizens to interact directly with their Elected Leaders, eliminating once and for all the communication gap that exists between citizens and governments. Built on the Ethereum Public Blockchain, It is a Decentralized Application that ensures complete transparency and an immutable voting facility. For leaders, it is a revolutionary platform that connects them seamlessly to their electorate, facilitating opinion sharing and fundraising. It offers cutting-edge tools to perform surveys, polls and an array of other features designed to enhance public service efficiency. Q: How can i be a part of Coalichain network? Download the Coalichain Mobile Application (public release on April 2018) and join for free as a voter. Launch Fundraising Campaigns and publish financial reports. Create Video-Posts to engage today’s New Media Generation. Create surveys, Opinion-polls and Benchmark polls with real-time results. Q: How does Coalichain verify the authenticity of leaders on its network? Coalichain does various background checks on leaders including KYC. All this data is collected from various verified sources and only then a leader can be a part of our network. Q: How secure is this network and will my information remain classified? Being built on blockchain, it is the safest platform to enter your personal information, besides this, Coalichain is a social voting platform and your name and profile picture (optional) will be visible to the public, but we will never share your private details with anyone. Q: How can I be a part of the leader network? You will have to signup into our network, fill the application form and upload your personal verification ID proof which can be your passport or any national Identification card approved by the government. As soon as you do this you can create a “Leader” profile for yourself. A cryptocurrency is basically a medium of exchange stored on blockchain built on cryptography. It is a digital peer to peer currency i.e; it is a decentralized form of currency. How it differs from the regular currency is that, banks keep a record of all the transactions and manage the database, whereas in this every peer keeps a record of all the transactions and is them one the transaction between two is verified then this is added to a block in the blockchain which can then never be altered and is permanent. Q: What is a ZUZ Token? A ZUZ token is a cryptocurrency of Coalichain built on ethereum blockchain. It is the only way to avail the services of Coalichain. The platform uses this as the mode of payment because it is secure and has a value which can later be liquidated to any currency. Q: How different is ZUZ Token compared to other cryptocurrencies? ZUZ token’s use case is mainly to facilitate governance as it will be used on the platform to avail various types of services the platform offers, it can also be liquidated and traded just like any other digital currency. Q: I have some Bitcoins can i use it to purchase ZUZ tokens? Yes ZUZ tokens can be purchased using Bitcoins, Ethereum and any FIat currencies. Q: Can ZUZ token be used somewhere else besides Coalichain? It can be traded just like any other cryptocurrency in the market, but Coalichain is the only platform where it can be used as of now. Q: I don’t want to vote but want to invest in ZUZ, can I do that? By second quarter of 2018, ZUZ token will become tradable and hence it can be invested upon. Q: Can I sell ZUZ tokens for USD on Coalichain? Q: How can I purchase ZUZ tokens? Q: What is Ethereum Blockchain? Ethereum is a decentralized platform on which Coalichain is built on. Decentralised means that none of the data is stored at a single place and is merely a peer to peer network. The system remains transparent with almost no downtime. The system is perfect for a platform like Coalichain as creates transparency which a system like this badly needs, because of trust issues amongst voters & leaders and Opposition Parties. Smart Contracts is an application in the ethereum blockchain which connects people to the blockchain and is ultimately a mode of communication between the users and the platform. Q: What is the role of Blockchain in Coalichain? Blockchain is the backbone of Coalichain. It makes the system decentralized, transparent and open. No one can make any changes in the system without changing any subsequent blocks or data points in the blockchain. As a result of which Coalichain cannot change anything at their end because the system is a peer to peer network. Anybody can vote, all you need to do is become a part of the network by signing up and completing the formalities. Once your profile has been activated, you can catch up with the latest news circulated by the Coalichain, follow your favorite leader, support him in his/her campaigns by micro funding them and ultimately voting them. Q: What is the voting mechanism on Coalichain? A voter can vote the leader he/she follows using the Coalichain platform. Coalichain is a social platform for better governance, every voter can directly interact with the leader and speak to them about their problems. Once satisfied after reviewing their performance over the due course of time, the voter can place his vote on our app. Q: Do I need to pay for a vote? No, it is completely free to be a part of the network and register as a voter. Q: How to vote & follow my favorite leader? Our platform has a very simple and lucid interface, all you need to do is to download the App, select your leader and tap on Vote. For your first vote in the app you’ll be asked for some verification items just to make sure that you are eligible to vote for the specific leader. Yes, absolutely there is no compulsion on you to stick to one candidate, you can always Un-Vote or change your vote if you feel so by just a tap of a button. Q: I want to cancel my vote as the leader did not stand up to his name, how can i do it? You can cancel your vote and vote someone else, or don’t vote at all, it is completely up to you to take a call. Q: Are my payments secure? Any and every payment made on our platform is secure, because the platform itself is built on blockchain which is generally considered the gold standard for security. In addition to this we do use the EV SSL certificate along with this we have an advanced WAF in place which keeps any major attacks at bay. Our platform also goes through VAPT (Vulnerability Assessment and Penetration Testing) every few months to keep a check on our platform and to weed out any minor loopholes. Q: Does Coalichain accept international debit/credit cards? Yes to purchase ZUZ token on our platform, Coalichain does accept international debit and credit cards, the money would be debited in USD and there will be some nominal currency conversion charges which will be levied, if your primary currency is not in USD. Frederic Lefebvre who has been the former minister of SME’s and tourism of Nicolas Sarkozy wants Agir to become the most collaborative democratic party in France by using the Coalichain App. Democracy? Theoretical Democracies and de-facto Oligarchies! We spend our lives in organizations, interacting with each other. At work, in our town, city, district, union — even in Telegram groups. Many of these organizations are managed through a representational system of governance. The preferred method today is democracy. Not because it is perfect. 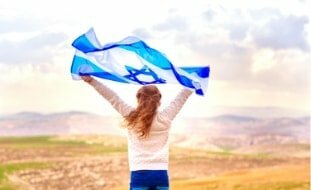 Blockchain is moving into the world's political systems, with several influential political figures in Israel and France recently emerging as new believers in the technology. They are betting on blockchain for more transparent governance and have joined the decentralized platform developed by Coalichain. Gladstonos, 116 M. KYPRIANOU HOUSE, 3&4th floor, 3032 Limassol, Cyprus.